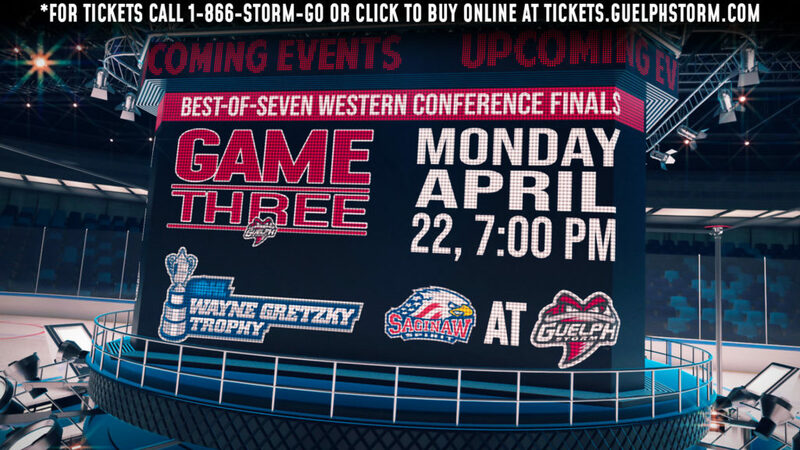 For a team that has been consistency-challenged this season, the Guelph Storm’s Zac Leslie has been a rock. The second-year blueliner has arguably been the team’s most valuable player this season. With little argument, he has been the team’s most consistent player. 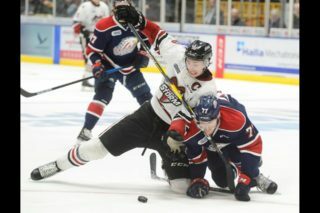 Leslie played well again Saturday as the Storm came up just short in a 3-1 loss to the red-hot London Knights at Budweiser Gardens. 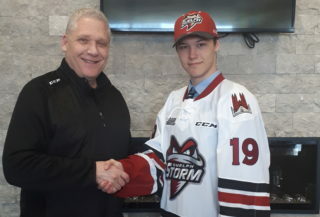 “I don’t know if he’s way ahead of where we thought he’d be, but he’s way ahead of where he was last year,” Storm coach Scott Walker said of the 18-year-old Leslie. “Honestly, overall and consistency-wise, Leslie has probably been our best or one of our best defencemen, and I don’t mean any respect to Matt Finn or Andrey Pedan because I think they are two of the best in our league,” Walker said. The Ottawa native wasn’t with the Storm in his rookie season, but joined the team last year, recording two goals and 15 assists. This year he already has five goals and 15 assists and has been extremely solid defensively. Passed over in last year’s NHL draft, he definitely has a chance to be drafted this June. Leslie puts his improved play down to experience and hard work. “I learned a lot last year what you need to do game-in and game-out – every shift to battle – and I did a lot of work in the summer to get prepared for this year knowing that I have to do that,” Leslie said. His rookie season was definitely a learning experience. 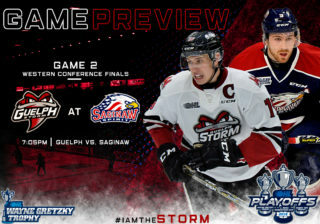 The Storm knew they were going to have to play near-perfect hockey Saturday night if they had any hope of beating the Knights. Instead they were just very good, which wasn’t enough. The win was London’s 14th in a row.